There are 5 posts filed in No Waste. Step 1 – Talk to the group managing day to day affairs of the apartment and educate them about the “No Waste” initiative. Step 2 – Do a door to door educational / awareness campaign educating the residents about the need to segregate waste and its advantages. 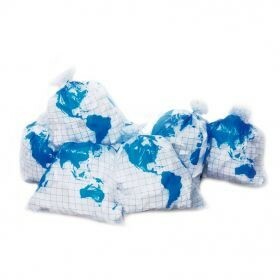 Step 3 – Distributing colored bags for three different levels of segregation of waste. Step 2 and 3 can be clubbed together. Step 4 – Doing weekly collection of the segregated dry waste (every Sat/Sun) from the residents, educating the residents at the same time if they have not done it properly, or educating the households which are not participating. Step 5 – Organizing a event where residents / maids / housekeeping staff will be educated about the need for waste segregation. Some NGO will come and readily help us with this. Can be done independent of the other steps. Step 6 – Storing the collected waste in the apartment complex, where it can be picked up by the recycling company or some NGO where it can be recycled. This can be done on weekly or fortnightly basis depending on quantity of waste generated. Step 7 – Revenue generated from selling off recyclable material can be used to promote the campaign and to pay the salary of the housekeeping staff involved in the same. So it will be a win-win situation for all. It will be good for the environment as the waste going to landfills will be reduced drastically. It will be good for the industry as it will get recyclable paper/plastic for use as raw material and reduce their input costs. It will be good for the housekeeping staff as it will generate income from the sale of recyclable material which can be used for their welfare. The only thing required is a little effort from our side. So lets join hands to make this a reality. So if you live in an apartment complex and want to implement this there, get in touch with me. If you know anyone who is willing to take this up, get me contacted to that person. And if you want to be a part of this project but don’t live in an apartment, there is still a lot you can do, so get in touch with me. You can call me at +91-9916532966 or ping me online. Current Status – Step 1 and 2 have been done in many (8+) apartments and all steps (till step 7) in around 5-6 apartments. Kudos to all those involved!! 1. Segregation at source – Segregation at source means separating our waste into dry, wet and toxic waste at the source. Which would mean keeping the dry waste (paper, plastic, glass) separate from the wet waste (leftover food, fruit peels, other kitchen waste) and toxic waste (medical waste, e-waste). When we separate our waste and store it separately, it becomes very easy for the next step to kick in. 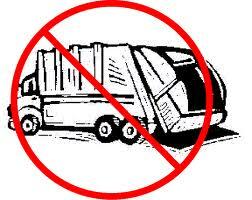 Dry waste can be recycled and reused, Wet waste can be turned into compost and all toxic waste can be disposed off safely. 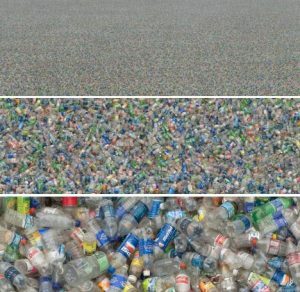 When all these are mixed, neither recycling nor composting can happen and we end up polluting our atmosphere, soil and ground water. 2. Recycling of Dry Waste – Dry waste (paper, plastic, glass) must be further segregated after which they can be sold to the recyclers who will recycle the materials. But as this is only possible if we properly segregate all dry waste, making segregation the key. This sale of dry waste can generate some income for the household, in addition to the fact that this waste will now be recycled and not just dumped in landfills. 3. Composting of Wet Waste – All wet waste (kitchen waste, left over food) can be turned into nutrient rich manure by a process called composting. Composting is the natural decomposition of food waste into manure which can be mixed with the soil to enrich it. It can be used in our home gardens, thus preventing our expense on fertilizers and chemicals. What can I do about waste? As you would have seen, if we implement the above steps in our households, we can reduce the waste going out to landfills totally (or by 80-90% atleast). Thats why the term “No Waste“. And yes, it is that simple. Nothing complex. And its a win win situation for all. It will generate employment for people involved in waste collection and recycling, generate income from the waste sold, prevent the expenditure on fertilizers and reduce the waste going out to landfills drastically, thus resulting in a greener planet. The only thing required here is an initiative to educate people about this and implement this. It has already been successfully implemented in a few places in Bangalore, like Diamond District, Sadashivanagar, Christ College, etc. I am working on a “Call to Action” plan and will be out with it shortly which will give the opportunity to like minded citizens to take bold leadership initiatives in their localities/apartments to implement a “No Waste” plan and do their bit in proper waste disposal. With a heavy cultural and religious bend! When we confidently go with the trend!! The world watched amazed during the recession! Which when dumped looks like a big ocean!! And every thing we use is disposable! All the garbage that we leave on the table!! But most have been taken over by hooliganism!! In this environment, can religion really blossom? Where huge amounts of greenhouse gases are released! And need to act before our planet is termed as deceased!! With many more waiting to happen! Before it is too late for any action!! So why do we have to screw the planet? I am writing this post after a gap of more than a month. 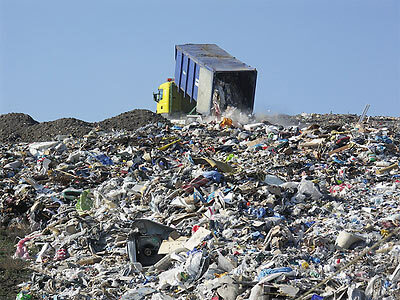 Over the last month or so, I have got introduced to the idea of “Waste Management” and have been doing some information gathering on the same. For those who have no idea what I am talking about, Waste Management is the collection, processing, recycling, or disposal of waste materials in an eco-friendly manner. Currently, most of the waste produced in our cities are mixed together (dry/wet, bio-degradable/non bio-degradable) and dumped in landfills. There, it is either burnt releasing harmful gases or left to rot or decompose which might take thousands of years (or never in the case of non-bio degradable products). 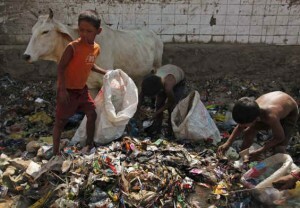 Moreover, we are running out of land to store all our waste. Improper ways of waste handling have resulted in turning our cities and roads into dump yards which is never a pretty sight. Moreover, all kind of diseases such as cancer, anemia, suppressed immune system are a result of release of poisonous gases and ground water contamination. However, by using eco-friendly ways of Waste Management, we can reduce the waste going to landfills by as much as 80% (even more in some cases) and save a lot of environmental / health related issues by properly disposing off / recycling the waste materials. 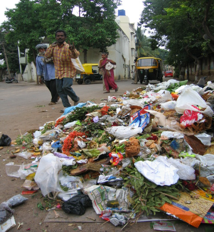 Organic waste (food, leaves, peels) can be converted into rich compost. 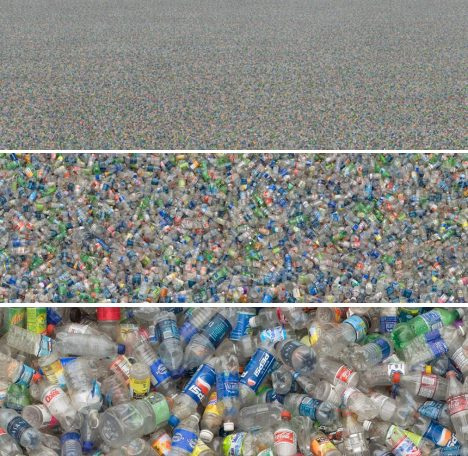 Paper, plastic and glass can be recycled. 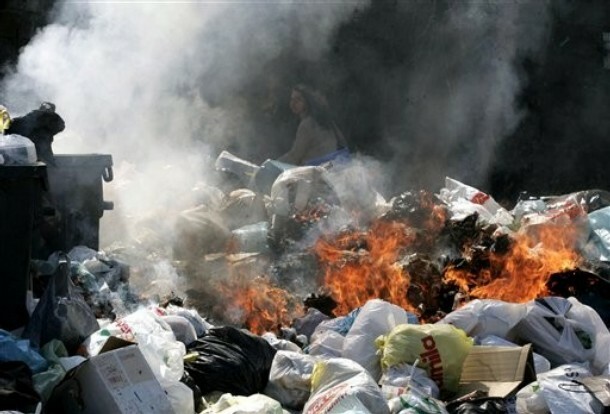 E-Waste can also be disposed properly without releasing toxic chemicals to the air or soil. 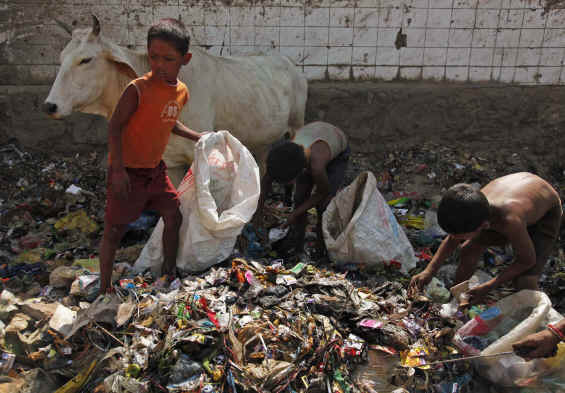 The question all of us need to ask ourselves is, Do we want our children and future generation to live in this environment? Is this the legacy we are going to leave behind for the future generations? The answer is certainly a NO for me, and I am going to continuously share any findings / activities related to the same here. More posts to follow soon! !